For several decades now, the federal government’s budget process has been fraught with complications and acted out on full display to the entire world. 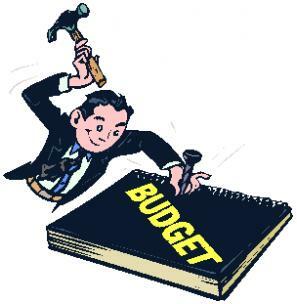 One of the central tenants of public administration is that budgeting is the basis of governance. As the leadership in Congress and in the various presidential administrations since 1981 engaged in undermining the budget process, they effectively decimated their ability to govern. To do that at all is a dereliction of responsibility. The current, pervasive uncertainty about the federal budget continues to hamper all parts of the federal government, cause volatility in the economy and put a damper on consumer confidence. In this regard, I agree with economist Milton Friedman on a key point about government: As much as possible, government needs to be highly predictable and stable so private markets can avoid being roiled by worries about unexpected political events. That Members of Congress have completely forgotten this primary principle is a sign of just how discouraging budgetary politics have become. No matter what, all aspects of the annual budget process should be completed in a timely and orderly manner in advance of the start of the next fiscal year. Punctuality and order are important signals of stability for the entire world and there will be huge tangible benefits from it. Political leaders will negotiate in good faith about differences over programs and priorities, but agree that the annual budget will never be held hostage to unresolved differences. Long-standing differences can be subject to future negotiations and compromises. After reaching a framework agreement for the annual budget, political leaders will defer to their appointed experts in scoring the budget to produce an estimate of the total cost. That estimate then will be used to adjust taxes to generate approximately the amount of necessary revenue. The primary purpose of taxes will be to support the budget, not to engage in hidden subsidies and expenditures. Clearly, the above points read more like a work of science fiction than a prescription for what ails the current budget process. When we get to this type of juncture, with decades of bad outcomes looming, I think it is reasonable to start thinking about amending the Constitution. One reason to mandate certain government actions in the Constitution is that we realize how political forces otherwise will undermine responsible behavior. This is why opponents of Keynsian fiscal policy (deficit spending) have advocated a balanced budget amendment. But the real need is not for balance but simply for the completion of the annual budget on time. Section 1. Congress shall approve a complete budget for the entire government of the United States by no later than one month prior to the beginning of the next fiscal year of the government, and transmit the budget to the President for either approval or veto. The budget must include provisions for revenue sufficient to approximately equal the anticipated outlays under the budget unless both the Congress and the president act as specified in Section 5 below. Section 2. The President shall either approve or veto the budget presented by Congress within one week of receiving the budget. Section 3. Congress may choose to override a veto of the budget according to the existing provisions regarding such an override of a veto. The vote to override the veto must occur within one week of the veto. Section 4: If Congress and the President do not approve a budget for the entire government by one week prior to the beginning of the next fiscal year, then the prior year’s total budget immediately shall be the total budget for the next fiscal year. The President shall have the discretion under such circumstance to adjust the budget of each separate department of the government by five percent, relative to the prior fiscal year, provided that the total anticipated outlays under the budget remain the same as in the prior fiscal year. Section 5: Congress and the President may mutually agree to approve a budget in which anticipated revenue is more than 10 percent different than anticipated total budget outlays. If either Congress or the President do not agree, the budget for the next fiscal year must be within 10 percent of anticipated revenue for the next fiscal year. The above also may seem like science fiction in the current political climate. That ultimately is the point: When the obvious and the rational are transformed into “pie in the sky” prescriptions, we all need to get much more serious about demanding that our elected leaders start governing and stop embarrassing the United States in front of the rest of the world. Author: Erik Devereux has worked for more than 20 years in the public policy and management field, including teaching full time at Carnegie Mellon University’s Heinz College and serving as executive director of the Association for Public Policy Analysis and Management. Erik currently is an independent consultant to nonprofit organizations and higher education. Trained in political science, he is a Phi Beta Kappa graduate of the Massachusetts Institute of Technology and earned a Ph.D. from the University of Texas at Austin in 1993. I like the idea that taxes must be adjusted at the time of each budget in order to achieve balance for the following year. You have section 5 that allows deficit spending for exceptional situations. Unfortunately, I think section 5 would allow for the chronic deficits that we currently have. I have often thought in times of poor tax receipts (recessions), the Federal Reserve ought to be able to bail out the Treasury Department so that we don’t keep adding to the national debt. Everyone accuses the Fed of making up money out of thin air. Why not apply such money to the federal deficit? I don’t think that would require a constitutional amendment. I certainly don’t agree with the idea that Congress has “effectively decimated their ability to govern.” What evidence is there for that? We eventually have a budget every year. The bills get paid. The U.S. continues to be the top country on the planet in terms of wealth and income. We must be doing something right.